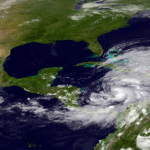 With the first hurricane of the season seemingly headed our way, now is a good time to know how to prepare and where to find information on the storm’s progression. The Delaware Emergency Management Agency (DEMA) posts Delaware specific storm information on their website including preparation tips, current news, and what to do in case of an emergency. Ready.gov has guides on planning for an emergency; what to do before, during, and after an emergency; and more. The National Weather Service contains regional weather updates. Stop by your local pubic library for additional information or to pick up some books and DVDs. The U.S. Presidential election is coming right up and it’s great you asked! There are quite a few online resources that show who are on the ballots and where they stand on issues; so many in fact, I will offer three for their reliability, neutrality, and ease of use. 1. ProCon.org offers a comparison chart that shows Presidential candidate stands on 68 issues. 2. Project VoteSmart offers a “VoteEasy” area that gives a way for you to select an issue and see how the candidates measure up. 3. 2012 Candidate Comparison gives multimedia and summaries of candidate voting histories and speeches. You may also be interested in a previous blog posting, “Where is my voting place?” from July, 2012. The Presidential election takes place on Tuesday, November 6, 2012. For election results, you may be interested in the Office of the State Election Commissioner’s site. The Anti-Bullying Libguide ( http://guides.lib.de.us/antibullying) has resources for kids, teens, parents, and school administrators on preventing and coping with bullying. There are also resources for adults dealing with workplace bullying and harassment. The Real ID act (which included the beginnings of a federally compliant driver’s license) was originally introduced during the Bush Administration in 2005 as an additional effort to fight terrorism. Each State has its own driver’s license rules. It’s not mandatory, but you can obtain a federally compliant ID or Driver’s License (since 2010) in Delaware. Just so you know, it is also called “Secure Driver’s Licenses by the Department of Homeland Security. 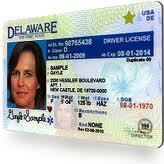 In fact, Delaware is one of the few states that have moved forward with a federally compliant ID. The upgraded driver’s license (notice the ‘gold star’ in the upper right corner of the license in the image) is essentially to assist the government with travel inside the US (primarily, for domestic flights), and for entry to federal buildings/locations. It does not replace a passport for international travel. Since the bill was introduced in 2005, there have been growing concerns from all 50 states dues due to controversies surrounding a citizen’s privacy and fear of an increased exposure to identity theft with the storing of sensitive information, further immigration restrictions, the cost and staffing for implementing such a law, and concerns about Federally-mandated laws that have been individually State controlled. In fact, the US Government implemented research to study the privacy impact of the Real ID. However, more and more states are finding ways to address their home communities’ concerns while moving forward with some acceptable versions of a federally compliant license (such as Washington State’s “enhanced driver’s licenses” (see Q15 on the US Department of Homeland Security’s Secure Driver’s Licenses FAQ page). It may be of interest for you to read the document from its source. Here is a link to the original 2005 bill. Our federal legislators have examined and challenged pieces of this proposal, with some States refusing to participate. These have created postponements and pushed the enactment date so that a careful review can be made. As the date of inception draws near (as of this writing, it is 2014 for those born after 1964 and 2017 for those born before 1964), driver’s licenses in Delaware offer citizens a choice to obtain a Federally-compliant or non-compliant card. In order to obtain a federally compliant ID or Driver’s License, you will need to provide a little more identification than you have in the past. The DE DMV has a list online. There is also a handy “Document Guide” that walks customers through what is needed, too. Just answer the questions and you end up with a tailored list. For more information, the DMV suggests that you give them a call at 877-477-7117 or ask in person. Finally, good news is that the federally compliant driver’s license (and ID) is the same price as a regular one. You can also upgrade your existing card, if desired, for a $10 fee.